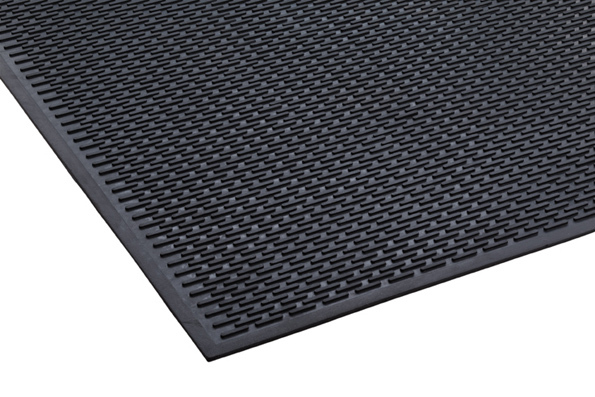 This mat is constructed with a heavy-duty SBR/Nitrile combination, which allows for industrial washing. Molded, beveled edges help protect floors and carpets, by holding in moisture and debris. 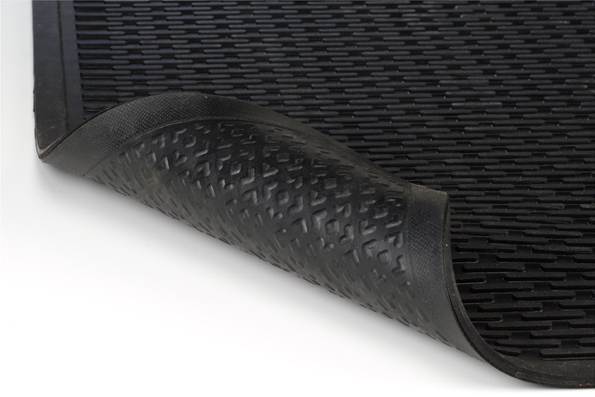 One-step mold design ensures scrapers will not tear or loosen, enhancing the safety features and reducing slipping hazards. 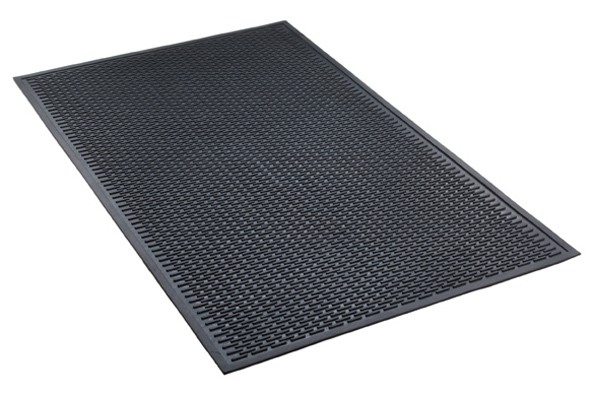 The Sure Scrape mat provides a cleaner environment for entryways and hallways, while reducing time and money spent on maintenance. 36" x 60" x 1/4" [W x L x H]26 lbs.